Our Summer 2019 Conferences are now accepting applications on a rolling basis! 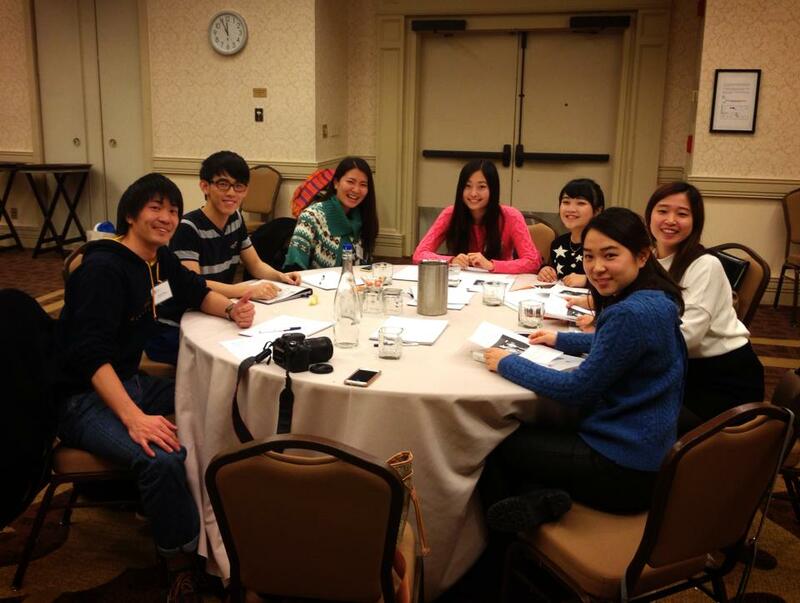 We are pleased to introduce the 10th Korea-America Student Conference Executive Committee! Eight Executive Committee Members (4 American, 4 Korean) were elected among a pool of strong candidates. We are so happy to have these bright, energetic students working together for What we know will be a momentous year. Not only will 2017 bring the 10th KASC to the U.S. but it also marks the 10th Anniversary of KASC! Congratulations to the elected ECs and thank you in advance for your positivity, hard work and plans for the 10th KASC! After the reunion with fellow JASC ECs and an introduction to KASC ECs last night, I feel that we were able to quickly form a strong bond with each other. The connection was partially due to the weekly meetings that the ECs have been conducting for the last five months, as well as some ice break activities we did after breakfast today, but mostly because of the shared character amongst us: the passion to strive for trilateral understanding, and curiosity to learn from each other. Most of the day was spent on roundtable discussions, and our immigration roundtable discussed and narrowed immigration issues that pertain to the three countries. We decided to focus on the legal and social issues immigrant children face today in each countries. Although I do not have an academic background on immigration, I consciously contributed my views, experiences, and knowledge to the group. 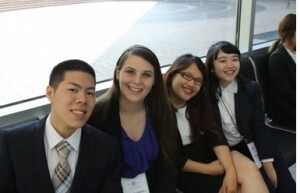 During the 66th JASC, I became aware of my tendency to sit back and listen to others. Although my preference to be a flexible and patient member worked out well with the team dynamics of our RT in the past conference, I wished to become a more confident, active contributor in the group. The connections we had developed with each other enabled myself to reach out of my comfort zone that I was never quite able to cross during the 66th JASC. I consider this a huge accomplishment, a great confidence builder, and a promising start to the symposium and 67th JASC. As our guest speaker Lieutenant Dianna Dietrich noted, being a peer leader requires passion, confidence, and humility among many other traits—and I believe our RT discussions and team building for symposium create an effective and exciting package that deepens trilateral understanding and prepare us for the conference this summer. It’s amazing how quickly you can get accustomed to your surrounding environment. Although it’s only been a day since we arrived in DC and enjoyed a reunion with our fellow JASCers for the first time after the end of the conference, I already find myself taking it for granted how I get to hang out and have discussions with other JASCers in person, rather than over Skype. It feels as though no time has passed since we said bye to each other in late August. We got started with our RT discussions today, and Urban Future and Its Challenges Roundtable met with Dr. Bertrand Renaud, an expert on urban development issues and real estate finance. Feeling a little overwhelmed by the amount of information presented at the table, I remembered how I struggled as a delegate to keep up with RT discussions during JASC. Sleep deprivation, frustration of feeling stuck in discussion, and pressure to come up with a presentation in a limited amount of time… it was just like JASC all over again. But at the same time, there was something different about the mindset I had this time. After having gone through an intense month-long discussion during JASC and given a successful presentation at the final forum, I was feeling somewhat more optimistic. Even though I may be feeling lost and confused right now, we will be able to make progress as long as we keep at it (fingers crossed that it will actually work out. I suppose we will find out at the symposium on Thursday). 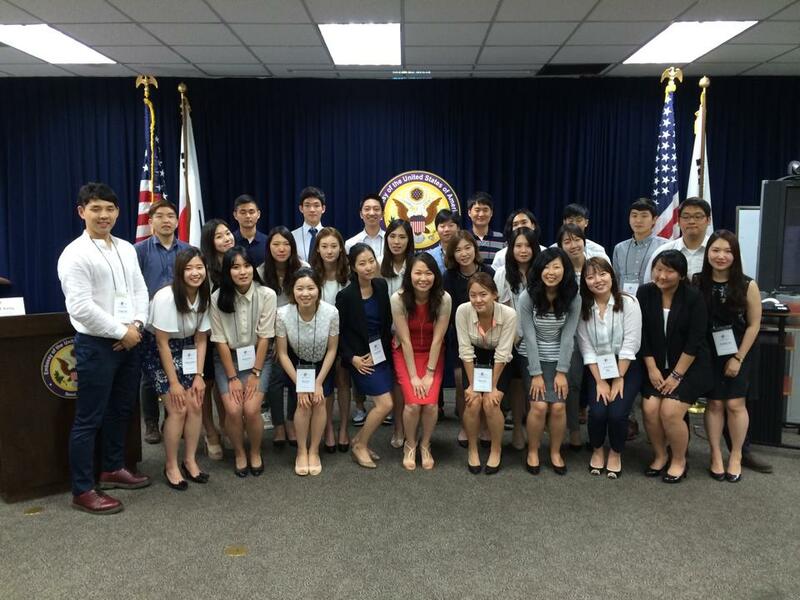 After 66th JASC ended, I wondered how I would be able to maintain what I learned during JASC. The trilateral symposium has provided me an opportunity to see my growth since the end of the conference, and it has been reassuring to learn that my JASC experience still continues to impact me. The Korea-America Student Conference (KASC) is delighted to announce that a US Embassy Seoul – KASC scholarship will be awarded to four Korean students who are accepted as Korean delegates to the 8th Korea-America Student Conference. The scholarship will cover the full $3,500 conference fee for students to attend the conference. The conference fee covers roundtrip airfare from and back to Seoul, housing and board, transportation between each of the sites, ground transportation within each site, and all conference-related activities for the entire month-long conference. Scholarships will be granted to Korean students who are enrolled as full time university students in a degree program in Korea. Undergraduate and Masters students are eligible to apply. Candidates should be highly motivated students who demonstrate leadership through academic work, community involvement, and extracurricular activities. Applicants must be able to demonstrate or submit proof of financial need. 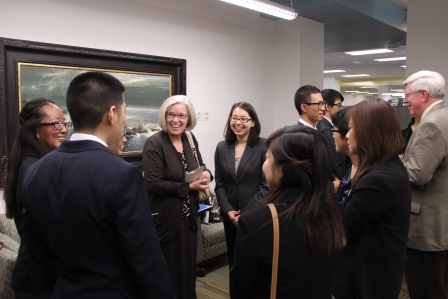 Priority will be given to students from under-represented sectors of society, including North Korean defectors, students with disabilities, and students from regional areas outside of Seoul. All candidates should be proficient in English so that they can be active participants in the academic program. No previous experience with Asian Studies is required. Please describe your background and any circumstances that demonstrate your financial need. Maximum 300 words. All application materials for the 8th KASC including the statement of financial need should be submitted online or emailed to kasc@iscdc.org by the January 2, 2015 deadline. Applications will be reviewed and candidates for interviews will be contacted by the 8th KASC Korean Executive Committee by the middle of January. Acceptance emails for the Korean delegation will be sent by ISC in the first week of February. 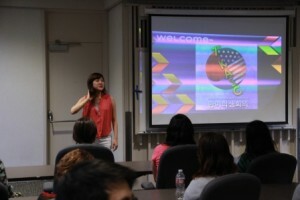 Statements of financial need will be reviewed from the eligible pool of accepted Korean students. The four scholarship recipients will be notified by ISC on February 15, 2015. Recipients must notify ISC of their acceptance of the scholarship and participation in the delegation by February 28, 2015. 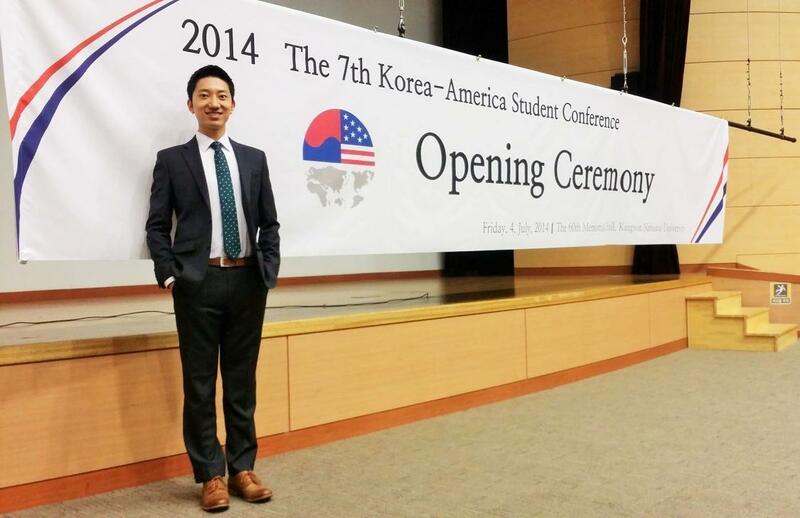 Chan Young Shin, one of the 7th KASC Korean delegates, was featured by his school press, Sogang News Weekly. He is the first delegate to participate in KASC from Sogang University and he wanted to let other Sogang students know about this great program so that they too could be future KASCers. 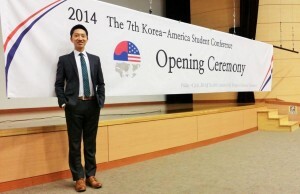 In the article, he briefly introduces KASC and why he decided to join the 7th Conference. Influenced by his father who has been working in the ministry of foreign affairs, his interest in international relations encouraged him to join the conference. 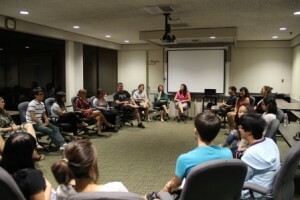 As he is majoring in business administration, he is participating in the business and society roundtable discussion to combine his interests in both fields. As a proud KASCer and Sogang student, he hopes to become a CEO to promote international exchange and create an archive to share with alumni. The full article in Korean is available at http://sfc.sogang.ac.kr/ by searching KASC. 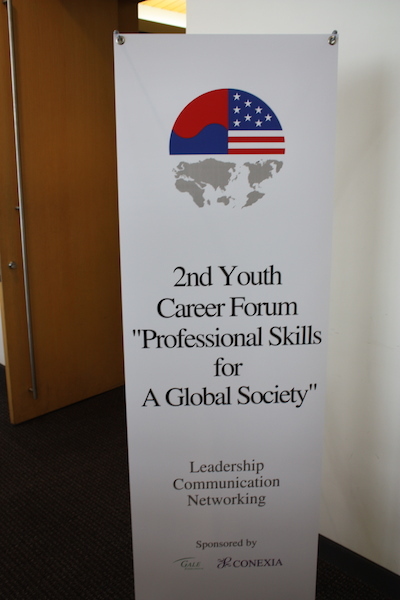 “Dream high, but be realistic; you can always change your direction,” said Ms. Inhye Kim, who opened the “Leadership in Different Stages” workshop at the 2nd KASC Youth Career Forum. 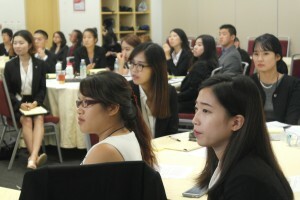 Ms. Kim, along with Mr. Joon Ko and Mr. Kiwook Kim from leadership consulting firm Russell Reynolds Associates, presented a workshop that explored the skill sets needed as one moves up the career ladder in an increasingly global environment. Mr. Ko followed Ms. Kim by giving a brief discussion of Russell Reynolds Associates, discussing the four levels of one’s career—workforce (from now to 5 years of experience), manager (6 to 10 years), director (12 to 16 years), and executive (20+ years)—and how the missions and key success factors change as one gains more working experience. The workshop flowed into the final portion—the Q&A—as I asked the panelists how and where one learns to manage people. Other audience members had additional questions as well regarding recruitment, job interviews, personalities of great leaders, and women in leadership. Overall, although I have attended many leadership workshops prior to the Youth Career Forum, I found “Leadership in Different Stages” to be very informative and refreshing. It was an honest and experienced perspective on skills needed to succeed in one’s career and I enjoyed every moment of the workshop. Special thanks to Executive Committee members, Justin Simon and Jeong-bin Lee; KASC Program Manager Minjun Chen; and sponsors, Gale International and Conexia, for a great and successful 2nd KASC Youth Career Forum. The 7th KASC has begun! On July 4th, the opening ceremony took place in Chuncheon, Gangwon-do, one of the most beautiful cities in Korea. 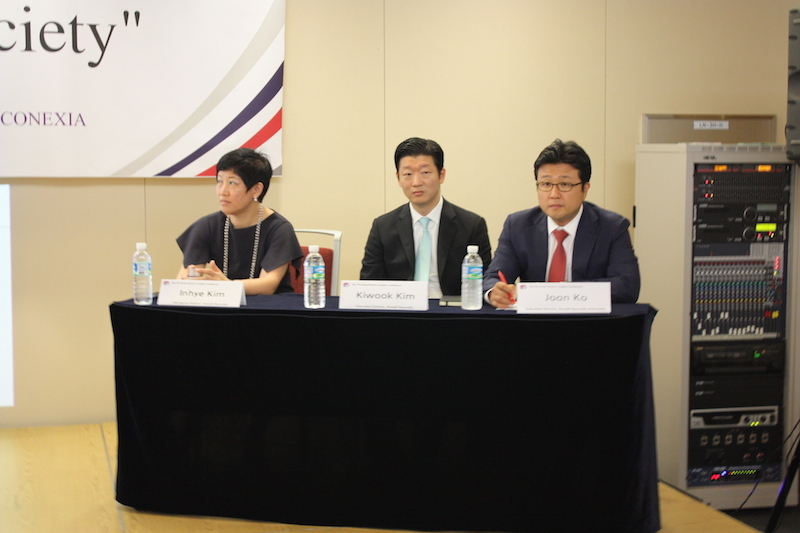 It was held at the 60th anniversary building at Kangwon National University and Ho Seung Shin, Dean of Kangwon National University and student representatives also attended to celebrate the beginning of a one-month journey of the 7th KASC. “We hope that KASC becomes an opportunity for everyone’s goals. Whether, if it is seeking a new culture, building new relationships, creating professional network, strengthening academic background, whatever it may be, KASC always provides the opportunity to grow, learn and prosper, ” said Nae Won, the American Executive Committee Chair, as she announced this year’s theme “Introspection: Opportunity to Learn, Grow, and Prosper” for her opening speech. 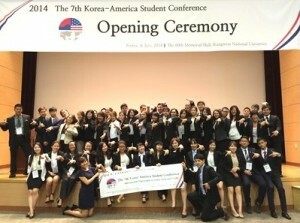 Sung Jun Kim, the Korean Executive Committee Chair, also hoped everyone would create a special connection with one other in such a diverse delegation. 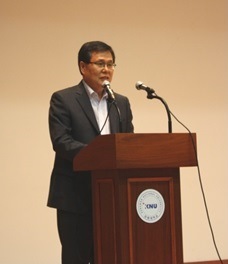 His remarks were followed by a speech from student vice president and student council member of Kangwon National University to introduce the university’s mission and vision. The opening ceremony ended with a reception and delegates were so excited to officially start their journey. For about a week in Gangwondo, delegates will listen to lectures, visit the House of Sharing for comfort women and the DMZ to learn more about Korea. 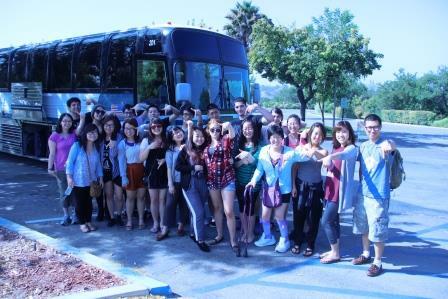 7th KASC American Orientation Kicks-Off at California State Polytechnic University, Pomona! The 7th KASC American Orientation began on June 28th, 2014. The American delegates started their month-long adventure with a wonderful and meaningful orientation in Los Angeles, CA. Members of American Executive Committee finally met their group in person, and they were excited to begin American Orientation! The new KASCers were welcomed by AEC Chair, Nae Won, and they immediately began bonding through icebreakers and a scavenger hunt on campus. 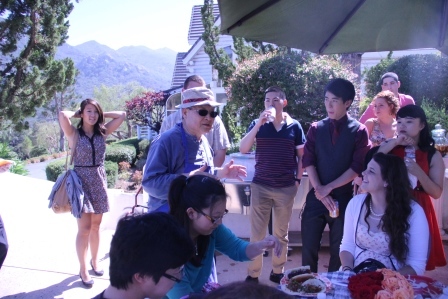 They were welcomed by ISC Board Member Spencer Kim’s home for a barbecue reception, and were addressed by Congressman Mike Honda. American delegates attended professional events and receptions,but also had a fun pool party before departing for Korea for the month-long Conference. ISC wishes the best for the 7th KASC, and we will keep updating latest news for #7thKASC!